Death Note WordPress Theme! 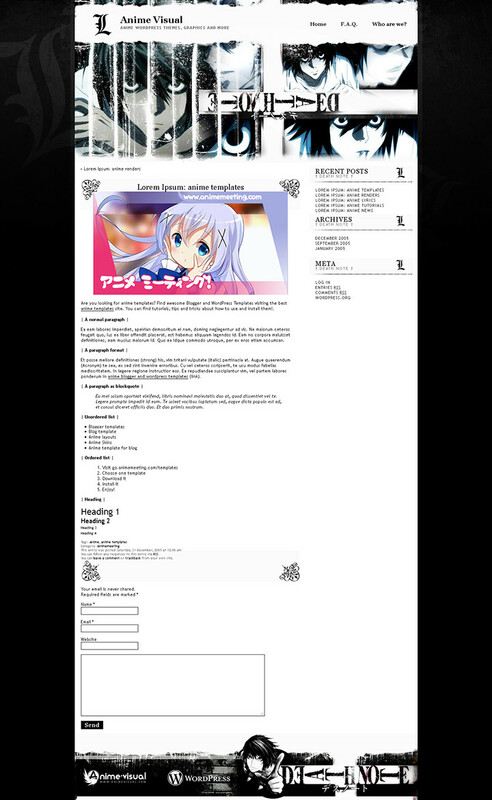 This theme was made by Anime Visual and I hope you enjoy it. Comments and suggestions are welcomed! Copyright ©2009 Anime Visual and/or Kazaf.